Get a taste of the luxury at an Anguilla villa rental of your choice. 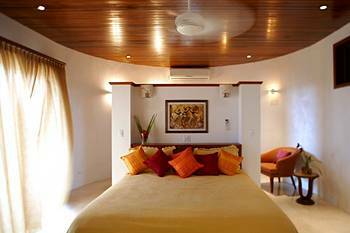 Panarea Villa is located on the West End of Anguilla with ocean views from all rooms. Enjoy air conditioned bedrooms, full kitchen, WiFi and gym. For an extra fee, you can have a private chef, airport shuttle service, personal trainer and massage services. Panarea Villa overlooks Cap Juluca and there is much snorkeling to be done at Barnes and Maundays Bay. 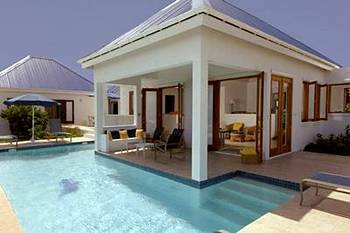 Sheriva is a luxury boutique villa hotel, located at West End, Anguilla. Guests on arrival enjoy complimentary cocktails, concierge services, housekeeper, shuttle service to Maundays Bay(Cap Juluca). Other amenities include wireless internet, air conditioned rooms, room safe and laundry facilities.